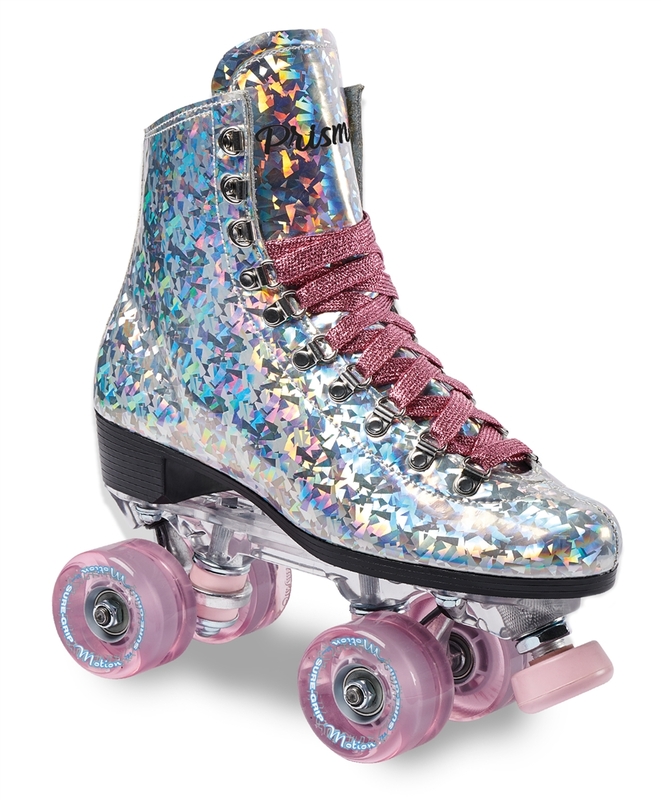 Sure-Grip's New hologram boot and futuristic clear plate really set this skate a part from anything on the market today! Add Back Brake Select Yes! Right Foot Please +$20.00 Yes! Left Foot Please +$20.00 Yes! Both Feet Please +$40.00 No Thanks! 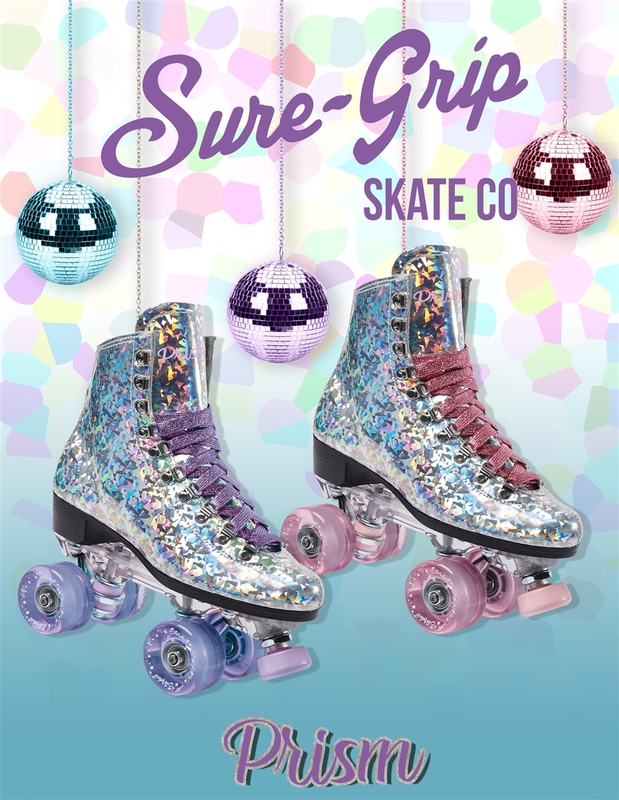 Introducing The NEW Sure-Grip PRISM Roller Skate! 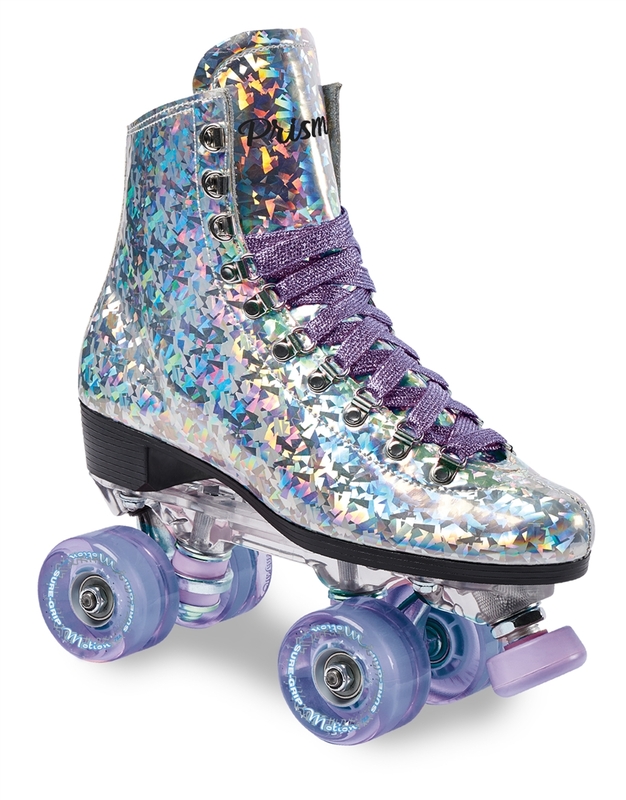 Sure-Grip's New hologram boot and futuristic clear plate really set this skate a part from anything on the market today! High rebound color matched Motion outdoor wheels, sparkle lace, cushions and 5/8" adjustable toe stop. Based on the Sure-Grip Mens last which fits a bit wider for most feet today. Select Mens size 5-10. Ladies sizes go down one size (ie. Mens 7 = Ladies 8). Available in Purple or pink!